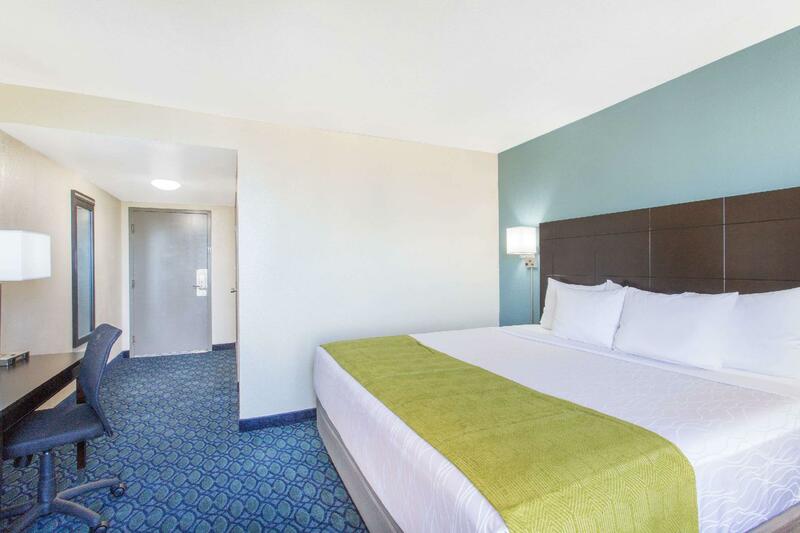 Have a question for Days Hotel by Wyndham Oakland Airport-Coliseum? 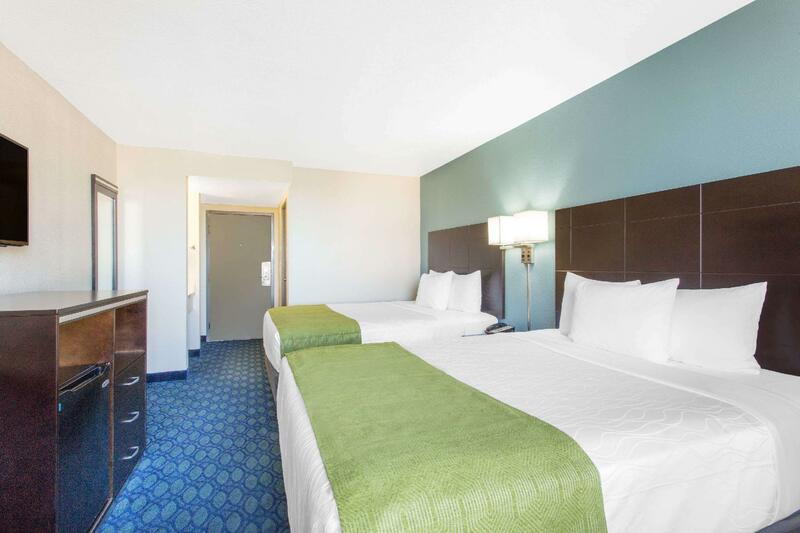 Offering a free shuttle service to Oakland International Airport, which is 5 km away, Days Hotel Oakland Airport Coliseum serves a daily continental breakfast and has rooms with free WiFi. Free guest parking is available on site. Guest rooms at this hotel include a cable TV and a coffee machine. Free local calls are provided. Featuring burgers, sandwiches and wraps, Jolly Rogers Diner and Bar is adjacent to the hotel lobby. The restaurant is open 7 days a week. 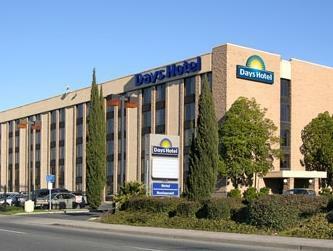 Days Hotel Oakland Airport Coliseum features an outdoor swimming pool and a fitness centre. 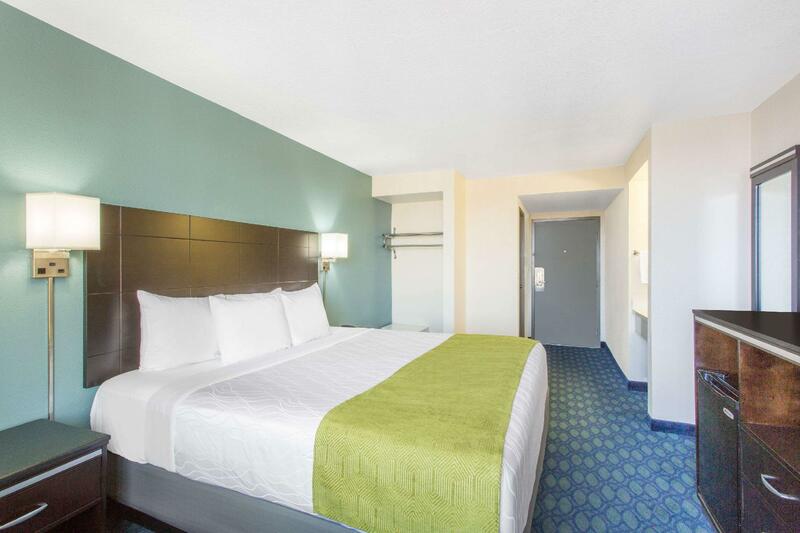 Laundry facilities and a 24-hour front desk are also provided at the hotel. 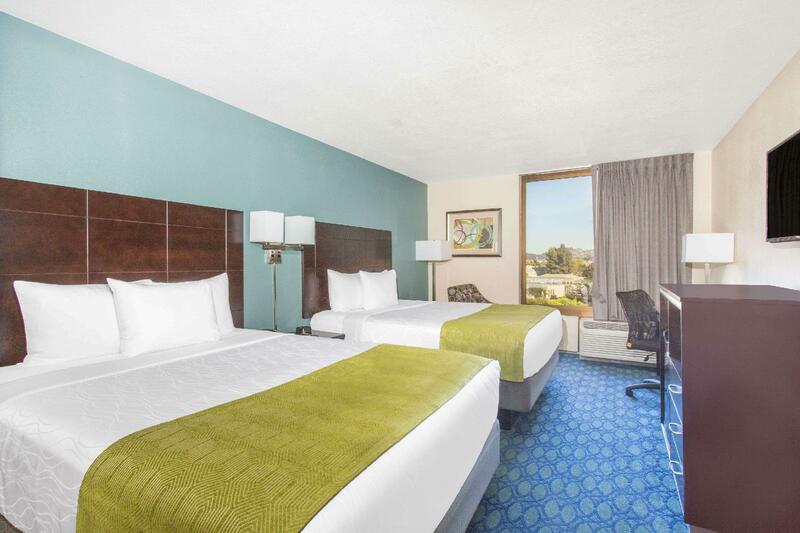 Oracle Arena and O.co Coliseum are just 6 minutes’ drive from the property. The Oakland Zoo is 7 km away. Hotel was good. There was strong odor of spray used by the cleaning stuff. You can not get rid of the smell because it is not possible to open the window. $165/night for this hotel is excessive. Breakfast was OK.
역에서 내려 고가도로를 타고 12분을 걸어야 하고, 공항셔틀이 있는데 샌프란공항인줄 착각했네요;; 오클랜드 공항 셔틀이예요. 샌프란 한 번 나갈 때 마다 교통요금이 꽤 돼서 차가지고 가시는 분들은 좋을 것 같아요.숙소는 깨끗합니다. Ett hotell med mycket god standard för pengarna, något utanför stan men bra väg in. Mycket trevlig personal som är ytterst hjälpsamma. Rekommenderar detta om det är en kortare vistelse och man inte är på hotellet utan vill ha ett behagligt rum med en skön säng. 在奧克蘭這區中的房間還算安全, 有附簡單早餐, 可填飽肚子(歐姆蛋蛋好吃), 覺得最方便的是~ 飯店有自己的free shuttle bus 往返機場, 對於隔天一早要前往機場來說這個服務真的很周到!